Over the years, many people have asked to see my unique Blood collection. Well, here is a summer 2008 update! 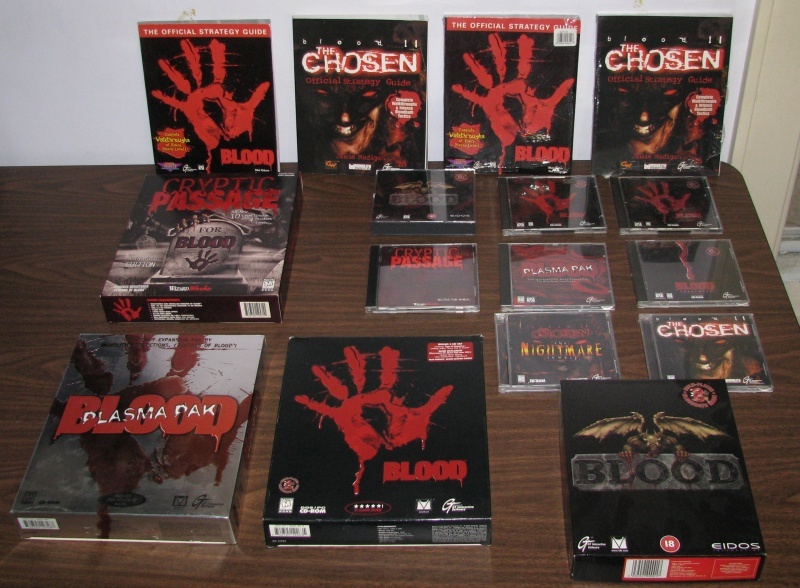 OUWB double-sealed (round stickers + cellophane), Blood 1 European sealed, Custom 20"x16" Blood poster (Blood 1 box artwork), Origianl Blood sealed regular edition. 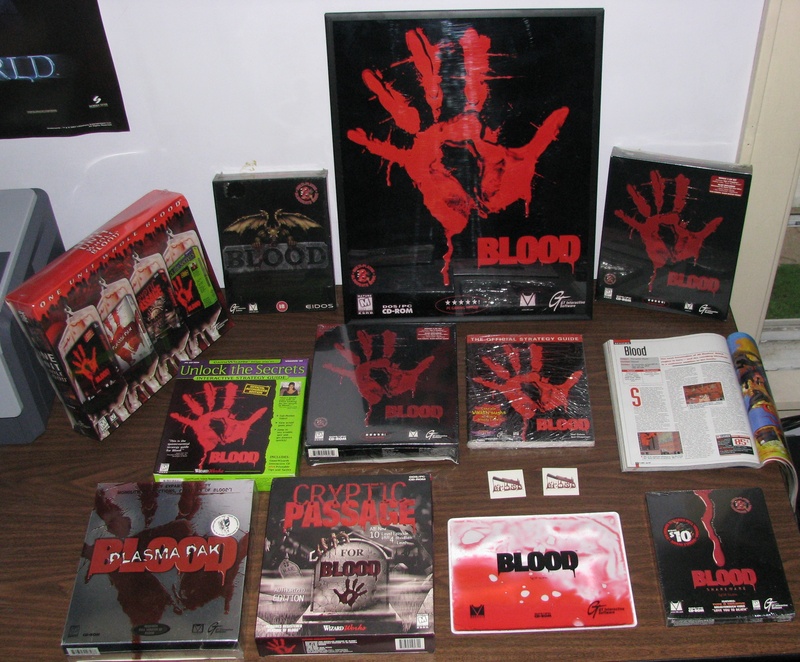 Unlock The Secrets sealed, Blood Special Edition sealed, Blood strategy guide sealed, July 1997 PC Gamer Review of Blood. Plasma Pak sealed, Cryptic Passage sealed, Blood mouse pad (came attached to a copy of Blood SE), Two Blood temporary tatoos, Blood Shareware sealed. 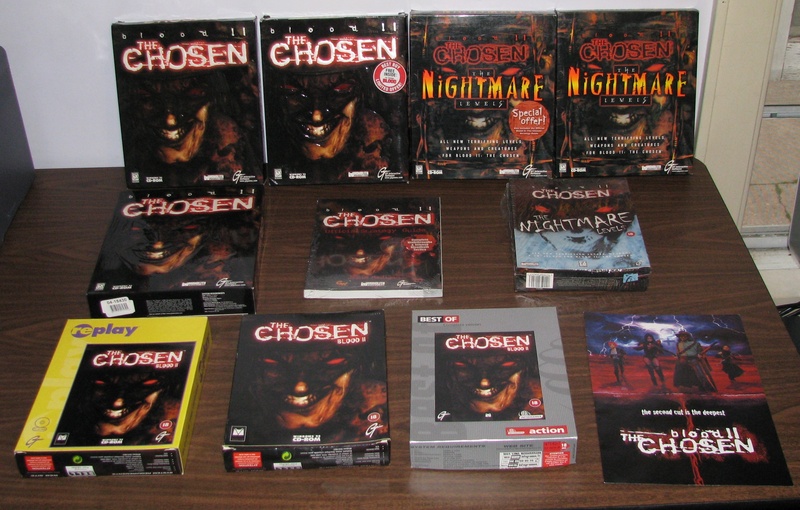 Plasma Pak open, Blood original box open, Blood 2 Nightmare Levels jewel open, Blood 2 jewel open, Blood European box open. 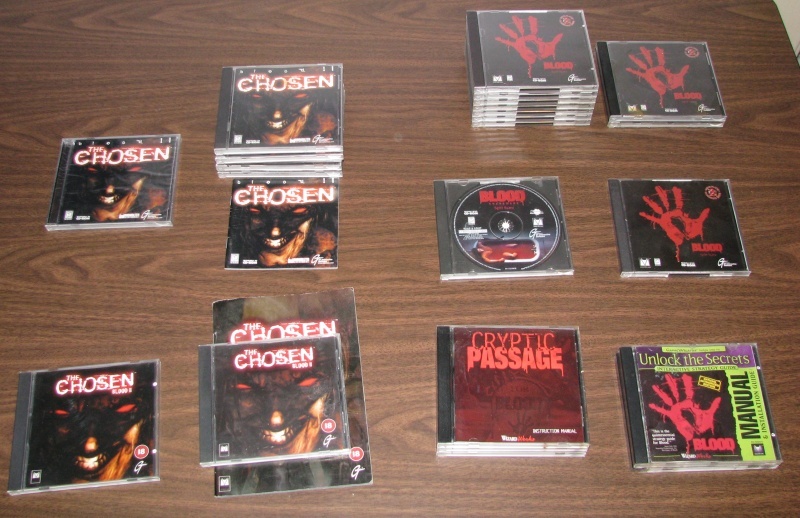 1 sealed Blood 2 jewel case, 4 open Blood 2 jewel cases, 1 extra Blood 2 manual, 7 open Blood original open jewel cases, 1 open Blood original missing original jewel case, now in 2 regular jewel cases. Q: My name is Dr. xxxxx, are you sane? If not, heres my card (attached). A: I'm completely sane, just a Blood fanatic! Q: I'm looking for x version of y, can you sell me a copy or help me find one? 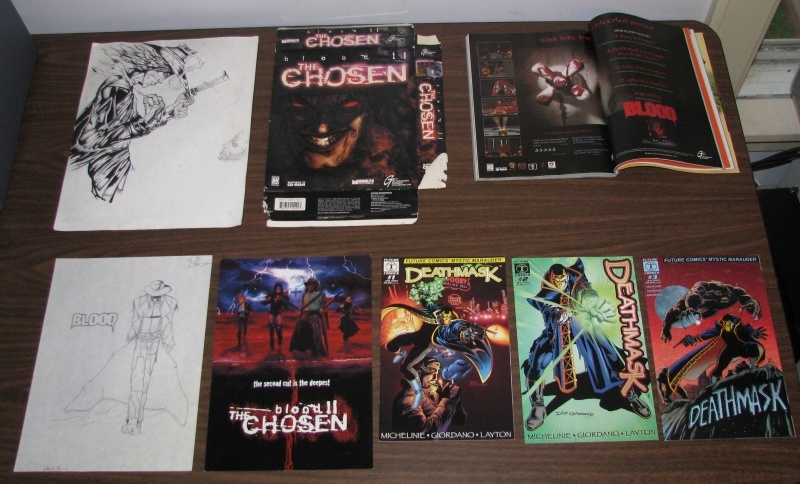 A: I may be willing to help you aquire a copy, however, please visit the Transfusion forums, if you can't find what you need, make a post or send me a private message on those forums and I will do my best to help you out! Q: What happened to your old collection page? It had some neat pictures on it that are not on this new page, I want it back! A: The old page is still alive, archived here. For other images, see my image repository located at http://files.deathmask.net/images/. A: Almost. 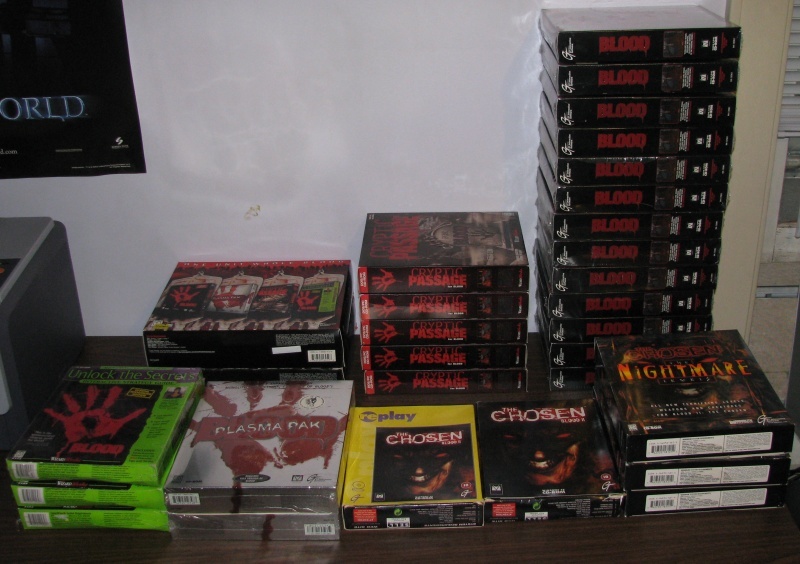 There are still a few things I'm known to be missing: An original Blood t-shirt, the German boxed version of Blood 1, the European boxed shareware version, and the Australian boxed version. 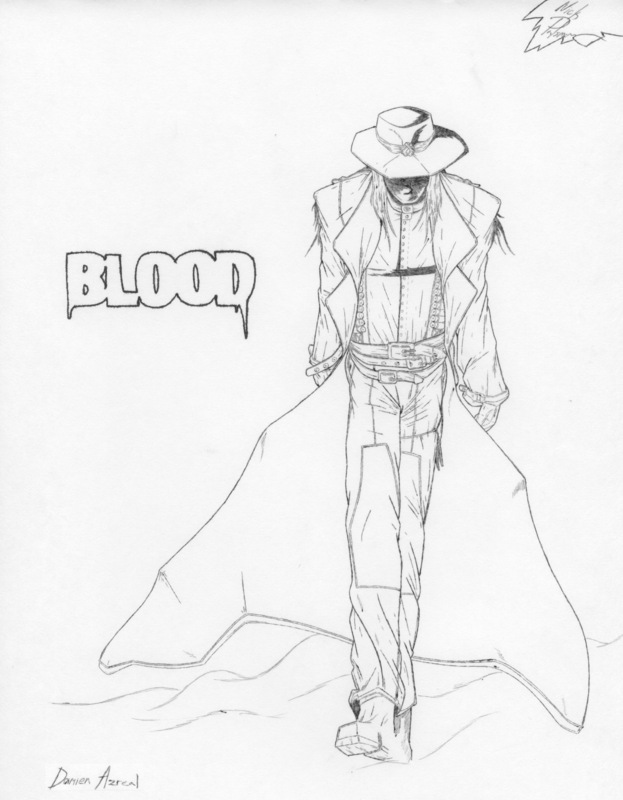 Thank you for stopping by, and have a Bloody great day!